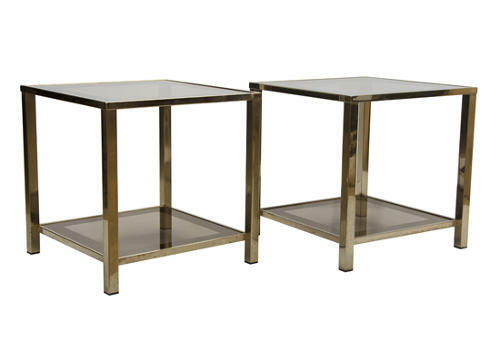 A very good quality Pair of Gold Plated Side Tables by Belgo Chrom c.1975. These are so in vogue and are trending as part of the movement known as Holywood Regency. This particular pair are 23 Carat gold plated and have a badge stating just that.The glass is in very good condition with just a few ,faint surface scratches.